Not to be confused with Roger Taylor (Queen drummer). Roger Andrew Taylor (born 26 April 1960) is an English musician, best known as the drummer of the new wave music band Duran Duran from their inception until 1985, and again from 2001 onwards. Duran Duran have sold over 100 million records worldwide. Roger Andrew Taylor was born into a modest family and was brought up in the Shard End area of Birmingham up until the age of 11, and then a small suburban house in Castle Bromwich (15 Hawthorne Rd). His father worked in the car industry. He began drumming at around the age of 12, teaching himself by playing along with his favourite records. His first ambition was to be a goalkeeper for English football club Aston Villa, and as a child he was taken to every home match by his father. He would eventually "play" at Villa Park but as Duran Duran's drummer for their 1983 charity concert there. Taylor has cited drummers Paul Thompson of Roxy Music, Charlie Watts of The Rolling Stones and Tony Thompson of Chic as his key musical influences growing up. Before joining Duran Duran, he performed with several school (Park Hall School in Castle Bromwich, Warwickshire) and local club bands. After being inspired by the punk bands playing at Barbarellas club in Birmingham, he formed the new wave/punk outfit Scent Organs, who became regional finalists in the 'Melody Maker' young band of the year in 1978. After the band split in 1979, he joined Duran Duran. Roger became known as 'the quiet one' and has said that he has always preferred to speak through his drums. Taylor became an international star with the other members of Duran Duran as they rose to fame in the early 1980s. Taylor played drums on the band's first three studio albums (Duran Duran, Rio, and Seven and the Ragged Tiger) and the live album Arena. In 1985, the band recorded the theme to the James Bond film A View to a Kill, which became their second US No. 1 hit and the only Bond theme in history to do so. However, the intense schedule of recording and touring, coupled with the pressures of fame, left Taylor unhappy with being in the band. His final performance with the original line-up of Duran Duran was in July 1985 at the Live Aid benefit concert in Philadelphia, which reached a global audience of 2 billion people. Taylor and the band had each picked up two Grammy awards during this period. Prior to leaving the band, he worked with Duran Duran bandmates Simon Le Bon and Nick Rhodes on the album So Red The Rose for their side project Arcadia in 1985. The album featured Sting, David Gilmour, Herbie Hancock and Grace Jones. Taylor also contributed percussion to the other Duran Duran splinter group Power Station's song "Some Like It Hot" from their self-titled album. He then purchased a remote farm estate in the hills of Gloucestershire to live a quiet life away from the music world. The Sun newspaper tracked him down and devoted a whole page to his departure dubbing him 'the hermit of pop'. 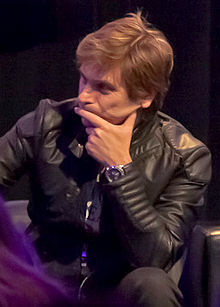 Initially his hiatus was expected to be for a year, but in 1986 the remaining members of the band issued a statement saying that he was leaving Duran Duran. In 1994, while visiting a friend in Paris, he temporarily joined Duran Duran to play drums on three tracks for the covers album Thank You (although only two ended up on the album), later appearing in the video for "Perfect Day" and on the band's Top of the Pops performance of the song. In 1997, Taylor regained his appetite for the music industry. He briefly formed the electro/dance band Freebass, which produced a single, "Love Is Like Oxygen", (a cover of a song by Sweet) on underground dance label Cleveland City Records. The record reached the top ten of the Music Week UK Dance Chart. Taylor also produced electro house tracks with Freebass member Jake Roberts under the name Funkface. Lost This Feeling and Shine were released on Taylor's own label Rt Music. In 2001, Taylor rejoined Duran Duran, as all five of the Rio era members reunited to record new material and perform as a quintet again. This culminated in five sold-out nights at Wembley Arena, playing Madison Square Garden again, and signing with Epic Records in New York. The band delivered a hit single '(Reach Up for The) Sunrise' and a hit album Astronaut. The 'Astronaut' tour lasted for more than two years with shows all around the world. The band picked up several prestigious 'achievement' awards from Q magazine, MTV and a Brit award. In 2003, he began a long-running DJ residency at London's Met Bar playing a mix of house and hip-hop and he has gone on to become a renowned DJ over recent years, performing sets at Cielo New York and Pacha Ibiza. The All You Need Is Now album was released on 21 December 2010 to worldwide critical acclaim. It immediately reached the number 1 spot on the iTunes pop chart in 15 different countries. Duran Duran commenced a supporting tour running well into 2012 reaching far and wide across the world. The band also played to an audience of 70,000 people in Hyde Park to coincide with the opening of the 2012 London Olympic Games. Taylor then began working with his bandmates on the 14th Duran Duran album with producers Mark Ronson, Ben Hudson & Nile Rodgers; Paper Gods was released in 2015. In January 2016, Peace Tracks, a charitable organization that aims to bridge different cultures and countries through music, released a number of songs that featured Taylor in collaboration with members of ABBA, Phillip Glass, Angelique Kidjo, and Anoushka Shankar. Taylor has three children – James, Ellea and Elliot – with his first wife Giovana, whom he later divorced. In 2004, Taylor was named Britain's fifth most eligible bachelor in the UK high society magazine Tatler, alongside Prince William and Hugh Grant. In 2007, Taylor married Peruvian national Gisella Bernales on the Caribbean island of St Lucia. She gave birth to their first child, a son named Julian Roger, on 9 July 2011. Taylor now lives between South West London and a 15th-century house in Warwickshire. In September 2018, Taylor was named by Birmingham City University as one of the most inspirational 'Brummies' of all time. ^ "Duran Duran to Get ASCAP Golden Note Award at London's ASCAP Awards". Billboard. 26 October 2016. Retrieved 3 November 2016. This page was last edited on 24 March 2019, at 16:47 (UTC).